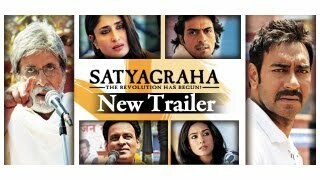 Satyagraha revolves around a peaceful mass protest against corruption. 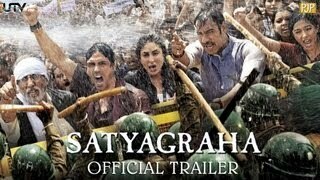 Satyagraha is a film that works solely on your emotions. It is topical and socially responsible. Moreover, it is an intense and emotional experience. For this, I credit two men: Amitabh Bachchan and Prakash Jha. 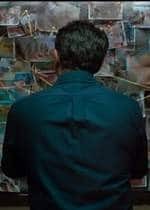 Jha made pertinent films like Damul (1985) at the onset of his career but it took him many years to find that loophole in the paradigm of commercial cinema where he made a non-masala film work with Raajneeti (2010). 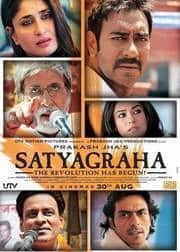 With Satyagraha, he has made his most important film (not his best). That loophole will again be breached as Jha makes a film directly for the audience's idealistic fantasies and emotional zeal. Now, I would like to talk about the second man in question. The actor who single-handedly sweeps the floor clean. 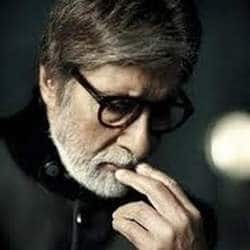 There are few actors in the history of cinema like Mr. Amitabh Bachchan. There is nobody more loved and respected in the Hindi filmmaking community than this giant of the silver screen. And for good reason. In Satyagraha, he gives his best performance in years. Watching Mr. Bachchan during the hunger strike scenes and not feeling a tiny spur of emotion is next to impossible. Collective national heartbreak is in order. 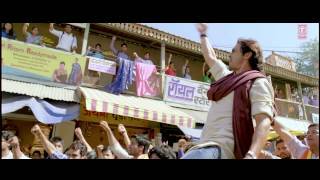 The film is clearly based on the anti-corruption movement that took place in 2011 started by Anna Hazare. He was tipped as the modern day Mahatma Gandhi. Satyagraha is a combination of two words: satya and agraha. Sandhi-vichhed - satya means truth and agraha means soul force. According to Gandhi, it meant insistence on truth, a nonviolent resistance movement, which he spearheaded and was followed by many countrymen. This is when we were being oppressed by outsiders. More than half a century on, we are being oppressed by insiders. Our own countrymen are reeking of corruption. Rating and reviewing a film like this is tricky business. You cannot talk about whether the story works or the characters are explored without missing the point of the film. The point of the film is to show us a story with social relevance that evokes an emotion, furthermore provoking an action. It is sort of like looking back on an actual event that jolted the nation. The film itself is a review of a national event. Reviewing this film cannot be an isolated task. That being said, on the technical front, the film does suffer a bit. Certain dialogues in the first half are cringe-worthy. The melodrama and heavy-handedness is apparent in every frame. The romantic sub-plot between Ajay Devgn and Kareena Kapoor is a roadblock. But then again, it is the intentions that prevail and the second half is smooth sailing. The storytelling combined with social significance takes over and we get a powerful film in the end. There are certain scenes with certain messages about the difference between revolution and mutiny. The pros and cons of giving power to the people. (Yes, there are cons). The stand on violence and non-violence, it is these ideas that Anjum Rajabali and Prakash Jha's screenplay stimulates which, sadly, are easily done on film, not in reality. After conceptualizing the film well, half of your work is done when you round up a good cast. Manoj Bajpayee plays the face of a corrupt politician and nails every scene he is in. Ajay Devgn was always considered a good actor before he became a star and rediscovers that territory at places. Kareena Kapoor and Amrita Rao are adequate. Arjun Rampal surprises yet again after a good performance in D-Day earlier this year. 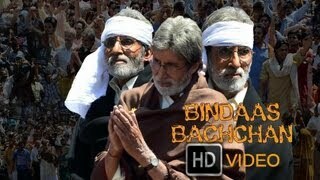 As I said before, the actor who takes the cake is Amitabh Bachchan. There is also a funny reference to Kaun Banega Crorepati in the film, which he delivers the way only he can. I'd give 3 stars for the actual film and an extra half star for what it makes you feel and it stands for. 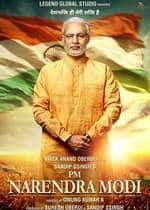 It is a film that is worth watching for the simple reason that we are citizens of this country, living in these times. 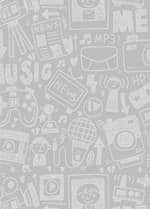 We are aware of the situation. Our economy is going downhill every second and our political system is becoming more and more corrupt. Prakash Jha shows us the mirror but also offers an alternative past, which may not have been optimistic but ideal. It offers a resolution and a future, which will probably not be realistic but earnest and responsible. It may not be a well-made film, even mediocre. But it works. More importantly, it is a film that stirs you and makes you wish you do something more for your country with a fierce insistence on truth.